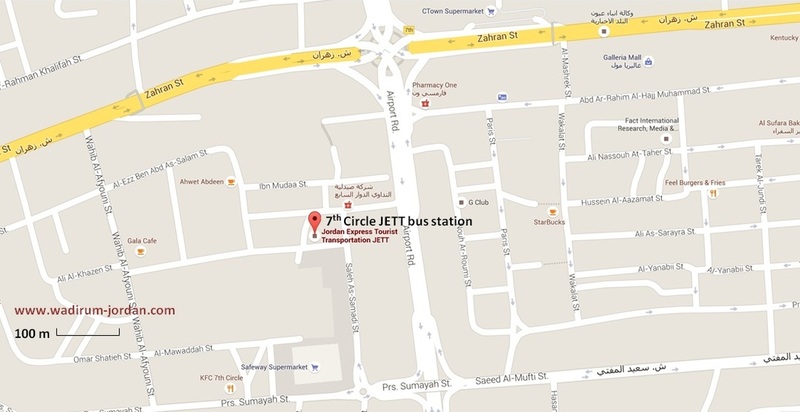 JETT buses travel from four bus stations in Amman: Abdali, Tabarbour, 7th Circle, and Al-wehdat. 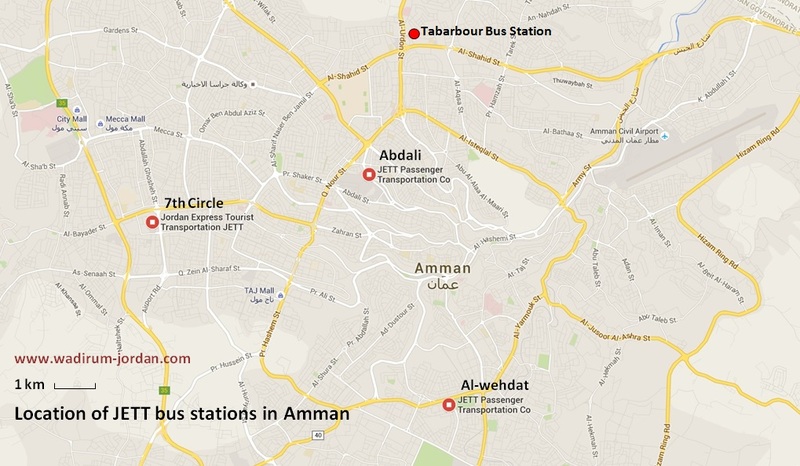 The detailed maps and addresses below are to help tourists get their bearings in Amman, to show you where the bus stations are in case you want to book a nearby hotel, and to help you get to Wadi Rum. Best advice: Ask your hotel manager to write the name of the bus station in Arabic on a piece of paper so you can show your taxi driver. Confusion about the Abdali bus station. There are some posts on the internet saying that the Abdali bus station has closed. The Abdali JETT bus station as shown above is not closed. Another bus station, also called Abdali bus station (but for smaller buses) closed some years ago. 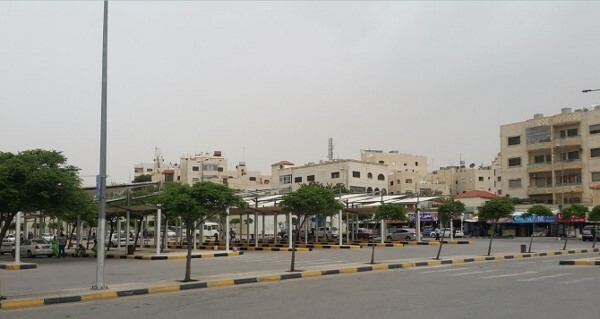 This bus station was situated about 1 km SE of the Abdali JETT bus station, also on King Hussein Street. There was a market at the bus station on Fridays. Most of the smaller buses that used to leave from this station now leave from the Tabarbour bus station. 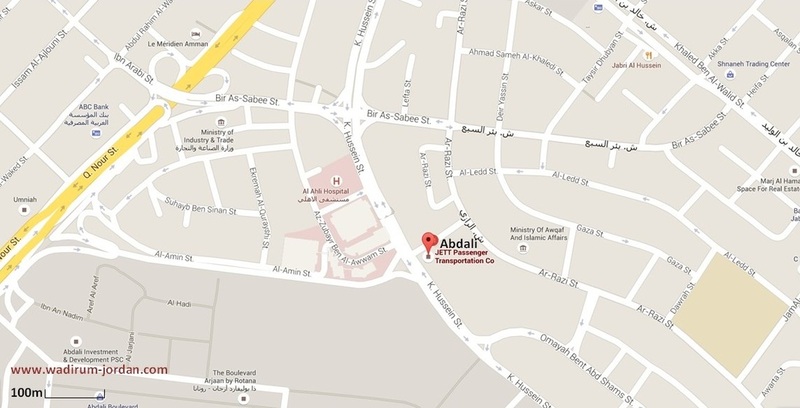 The map below shows these two Abdali bus stations. 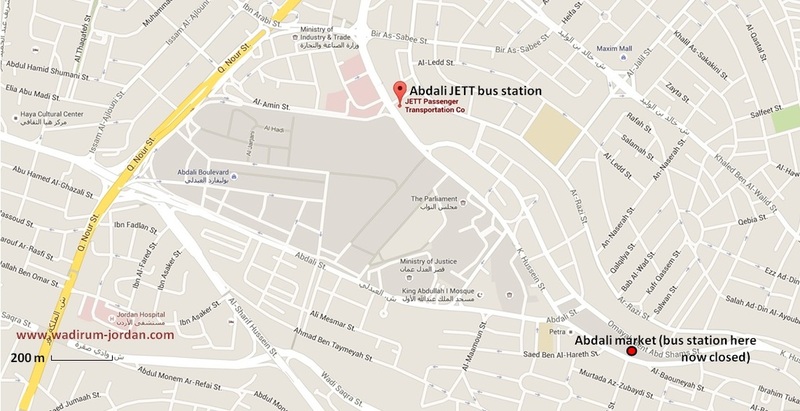 Abdali JETT bus station is 1 km NW of old Abdali bus station that was near the market. Also known as the Northern Bus Station. 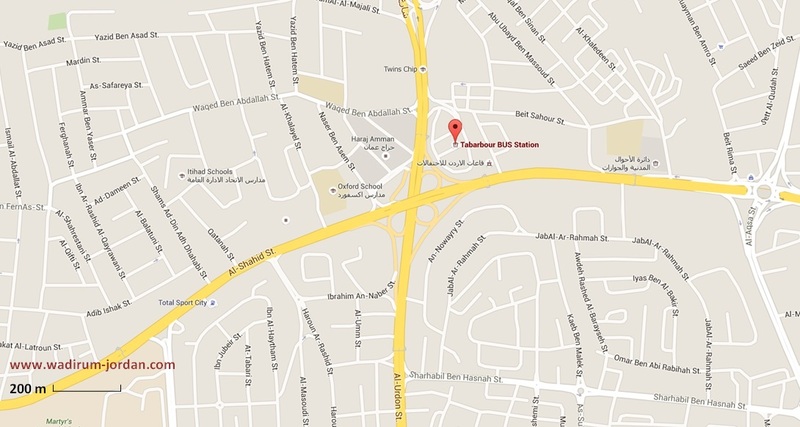 This station is just NE of the Al-Urdon St and Al-Shahid St interchange. 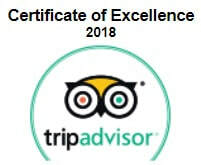 It is run by the Ministry of Transport. Also known as 'Mujemma Al Janoob' bus station. 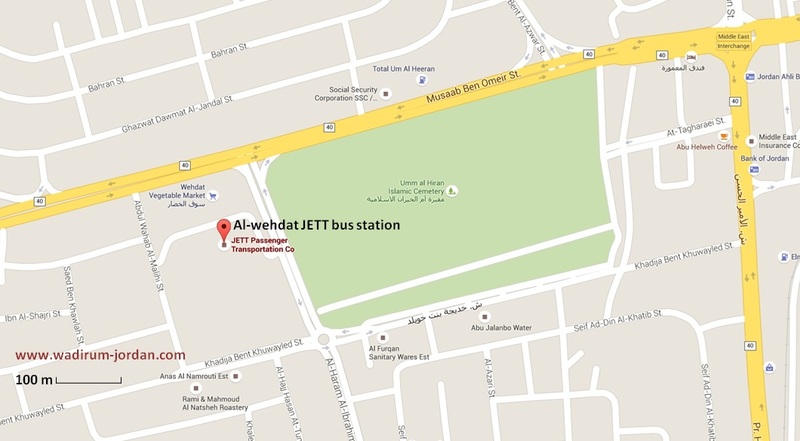 This station is near the Wehdat Vegetable Market and the Umm al Hiran Islamic Cemetery.